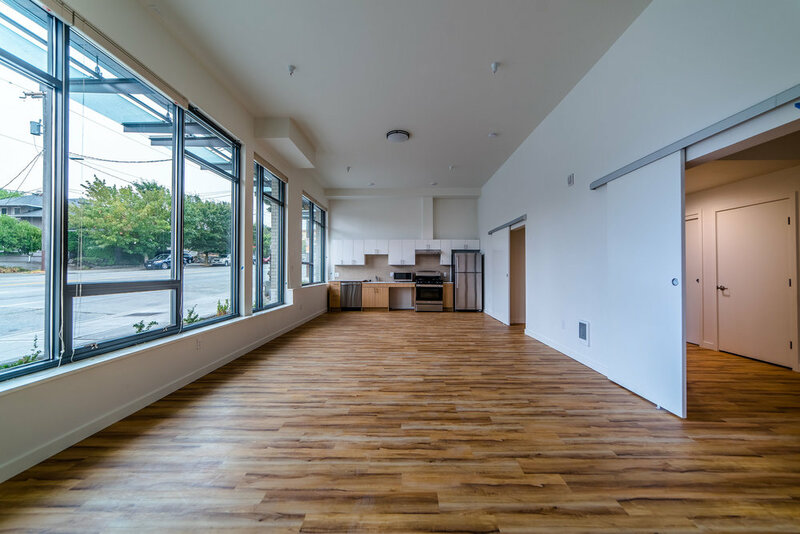 Located just north of Ballard High School on 15th Ave NW, this 81,700-square-foot urban mixed-use building contains four stories of residential over one level of retail spaces. There are 83 apartments, five live/work spaces, 3,500 square feet of office space and 44 vehicle parking spaces. A rooftop deck offers expansive views to the south.